Wasting time and money doesn't have to be a part of your social media strategy. Grow Your Business Faster with Increased Leads. We are a Results Driven Marketing Firm. As one of the top social media management companies in the country, we recognize the importance social media marketing has for businesses. We are proud to offer an affordable range of social media marketing plans that truly help small businesses in America grow their online presence. 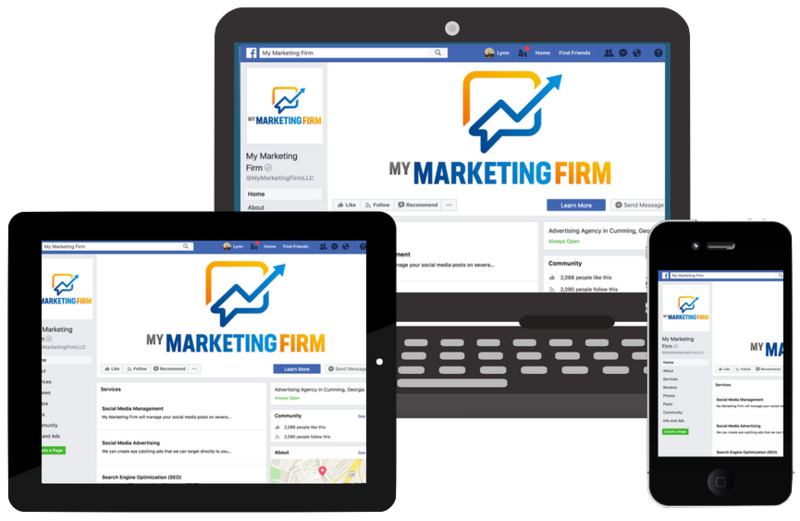 My Marketing Firm is a social media management firm. We provide affordable social media management and advertising services for all businesses. If you are looking for an automated solution for your business’ social media, My Marketing Firm is the perfect solution for you. Our social media marketing firm will create and manage all of your business’ social media posting, channel growth, and customer interaction. Social media has forever changed the way businesses and customers communicate. Your customers, no matter what business you own, are on social media – that is a fact. In 2017, 81% of U.S. Americans had a social media profile and that number is growing rapidly already in 2018. If you’re not interacting and engaging with your customers on social media, your competitor will! Having a presence on social media is important, but sitting at a computer all day posting to your Facebook is extremely time consuming. You as a business owner need to focus on actually operating your business. That is why our social media management firm is the best option for you! The Setup Process Takes 5-7 Days. We Keep The Process Easy And Simple.